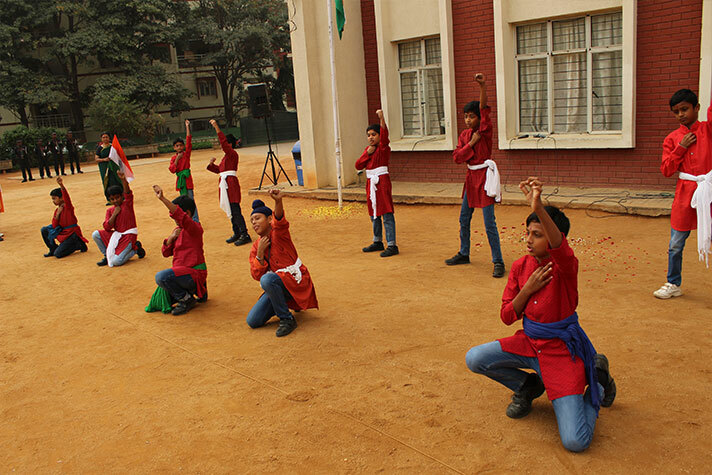 On 26th January, NPS KRM celebrated Republic Day with aplomb. 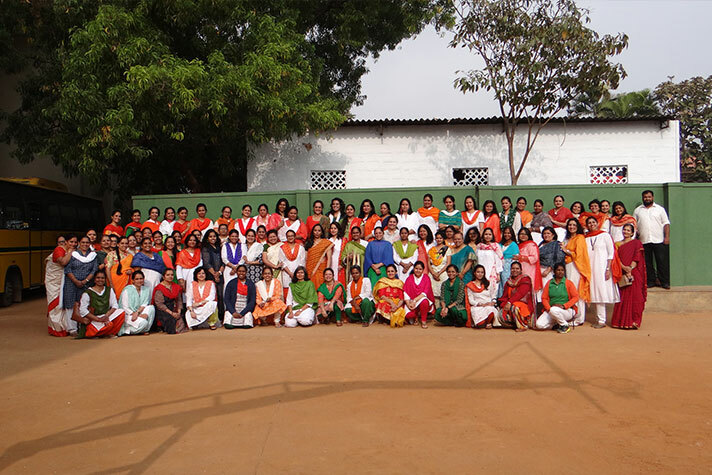 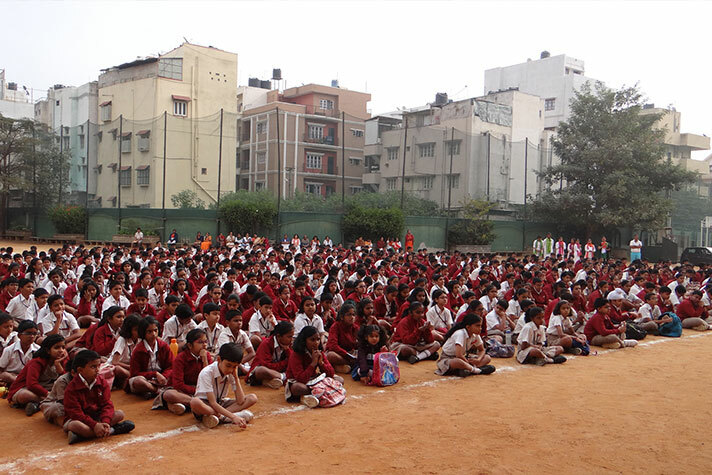 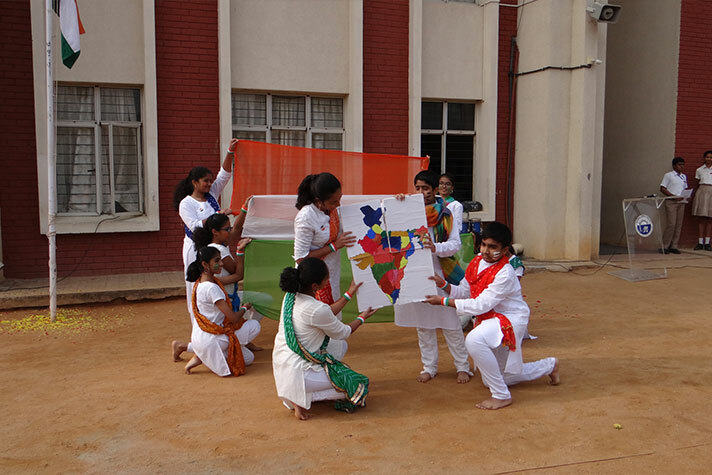 The program drew inspiration from Mahatma Gandhi on his 150th birth anniversary. 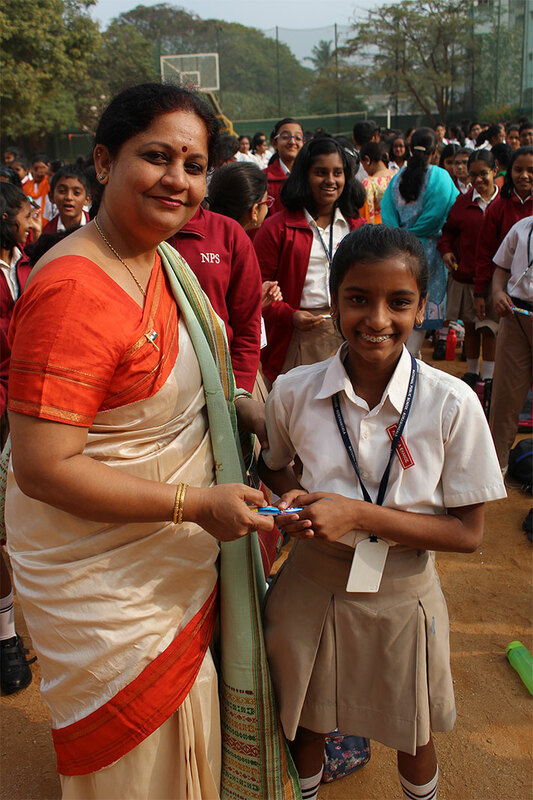 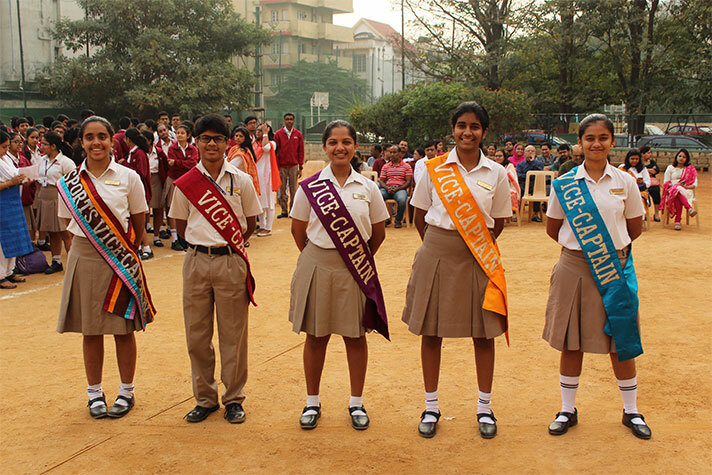 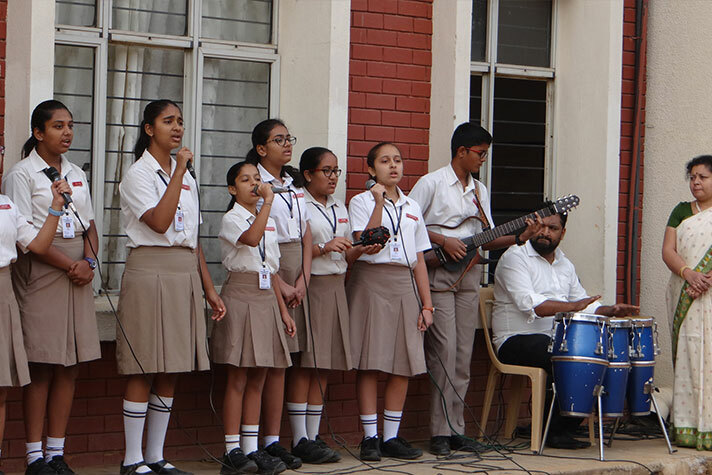 While the Rajpath witnessed crimson-clad border troops astride camels, bagpipe, drum corps and regiments swinging rhythmically and our very own Vinayaka M., honoured with Bal Shakti Puraskar, waving gleefully, our school programme saw students portraying moving stories through dance and song. 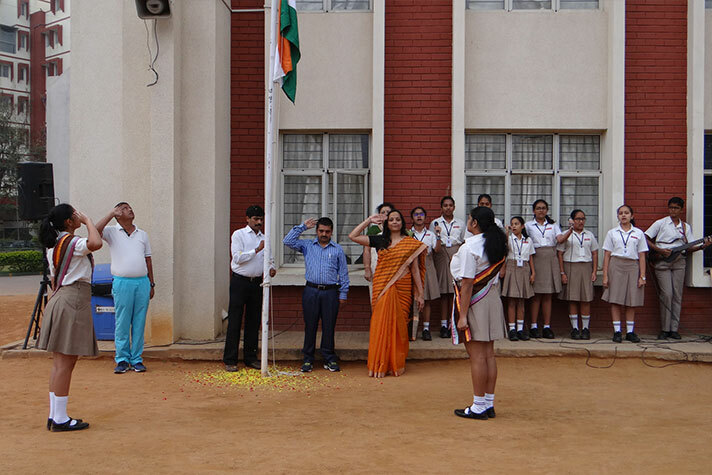 The eternal symbol of our hard-earned freedom, our tricolour, was unfurled by the Chief Guest Mr. Prem Prasad, the school’s oldest support staff member. 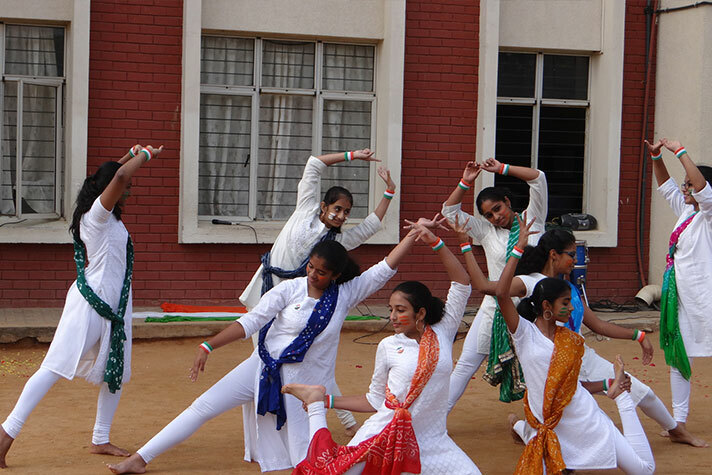 The cultural program, compered by Niveditha and Samarpith of 11A began with a fresh look at the future - one which India would inevitably be a key player in. 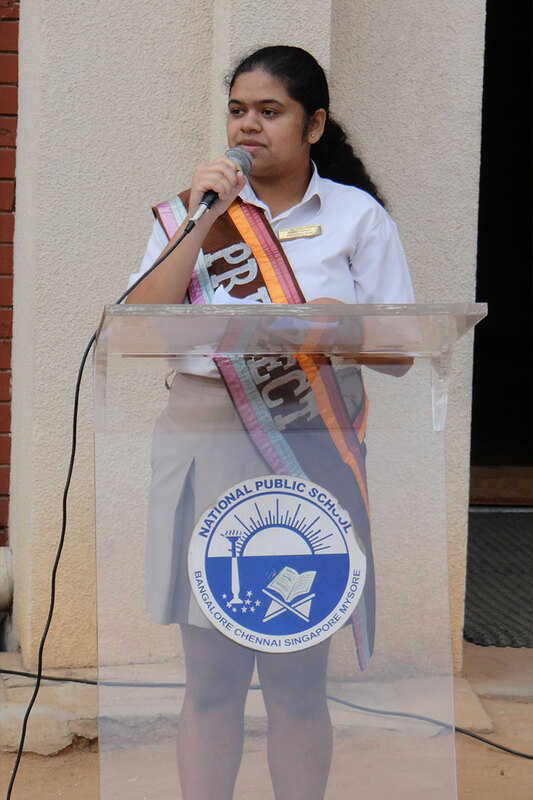 In the light of new dreams and hopes, Neha Jacob of Grade 12 delivered a powerful speech. 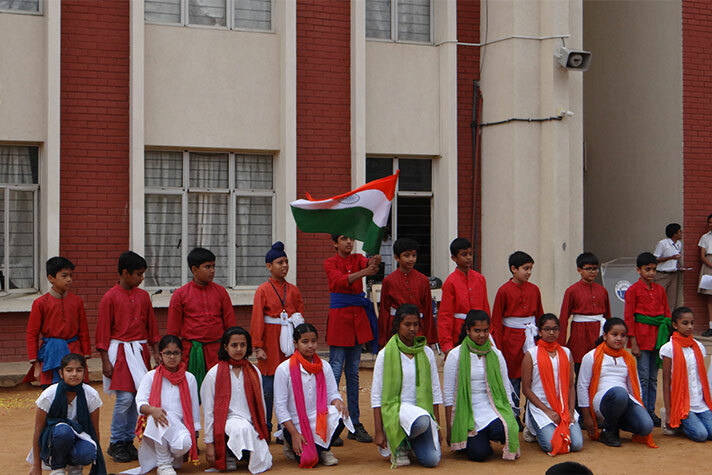 The dancers of Grade 5 performed on the soul stirring poem-turned-song, stoking the fire of patriotism in everybody’s heart. 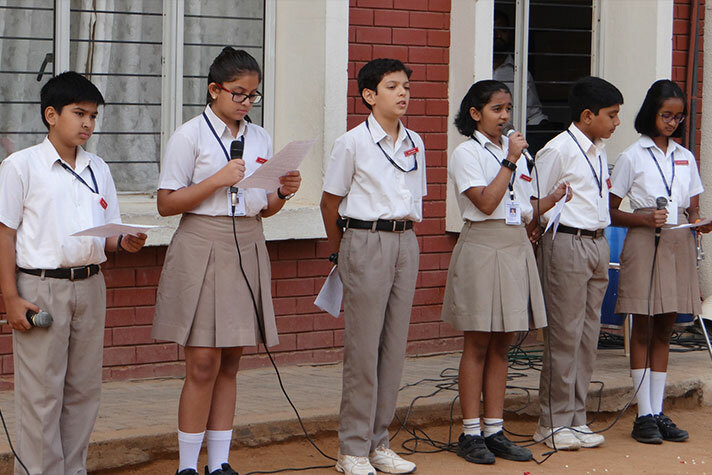 Students of Grade 6 enlightened the audience on the intricacies and complexities of the Constitution right from the formation of our team of constitution makers to its writers. 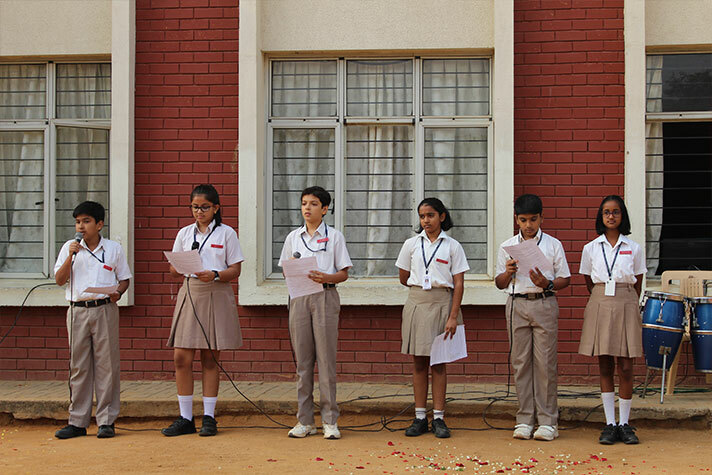 The school choir’s melodious medley mirrored the harmonious entanglement of culture and tradition in our country. 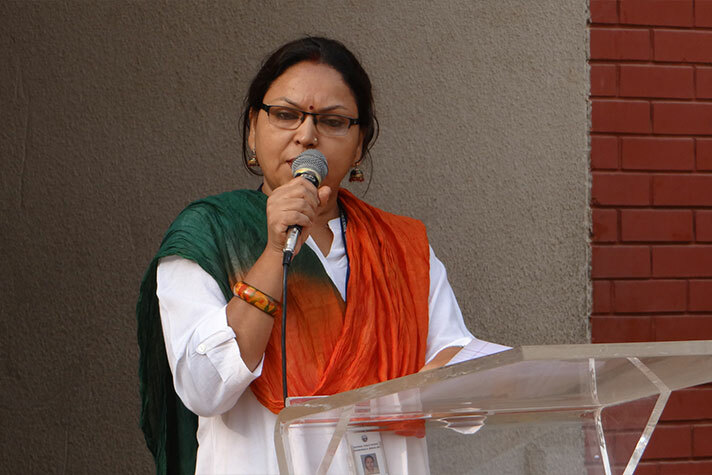 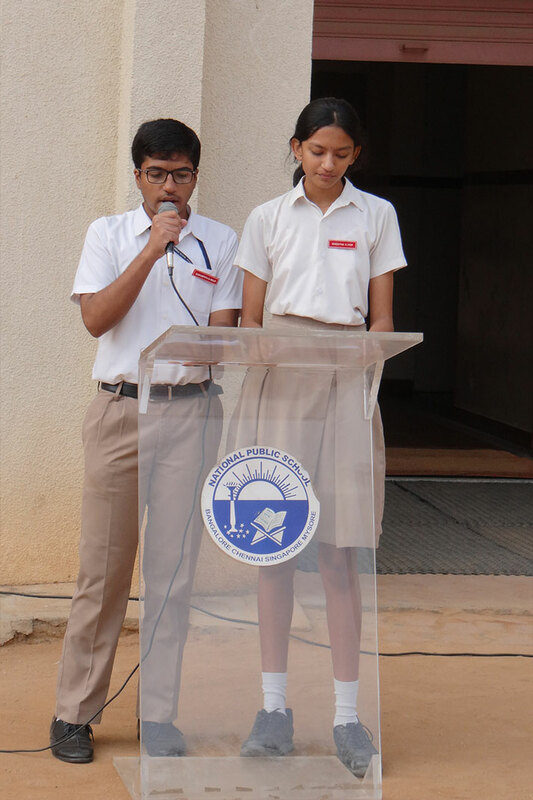 Ms. Sujata Mishra delivered a splendid recitation, the poem ‘Tiranga’, emphasizing the importance of respecting our country, as the people of a proud nation and the 8th graders spread the message of love and communal tolerance among all factions. 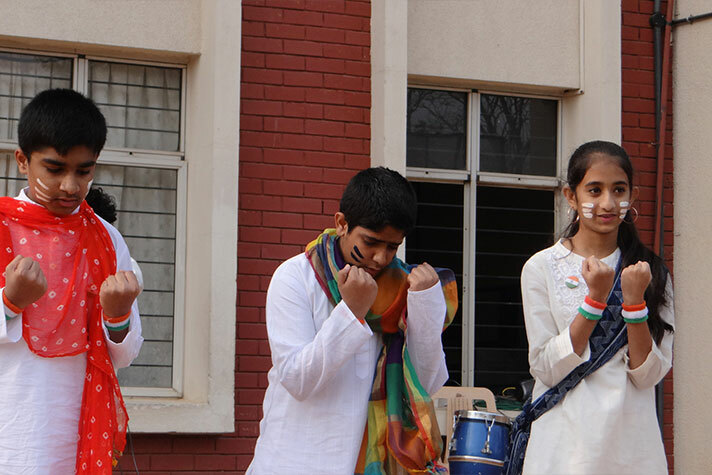 The celebration ended with the audience renewing their hope and resolution to serve the motherland.